The Bambach Saddle Seat is a revolutionary ergonomic seating solution created by Mary Gale, an occupational therapist. Designed in Australia in conjunction with engineers, physiotherapists and occupational therapists, the Bambach Saddle Seat supports and encourages correct posture. What sets this seat apart is the fact every Bambach Saddle Seat is personally customised to suit your body, health and profession. From office workers to medical practitioners and people with special needs, Bambach has revolutionised the way people sit and work, leading to a more productive and pain-free work environment. Bambach required a website design which would showcase their high-quality products, highlight the importance of maintaining good posture and a healthy lifestyle, and enhance their digital presence as an industry leader with over thirty years experience in ergonomic seating solutions. To achieve this, Bambach appointed TWMG to develop a user-friendly and professional website which would also function as an e-commerce site for the Bambach Saddle Seat. 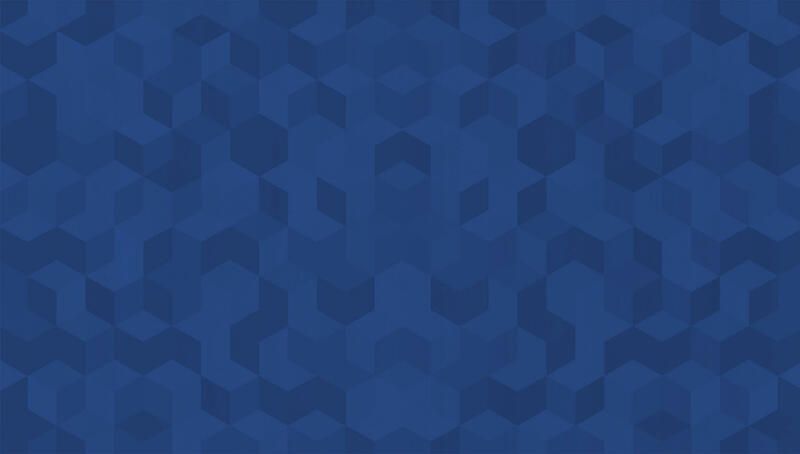 For the new Bambach website, the team at TWMG focused on creating a personalised customer experience and streamlined ordering process. We ensured that the products were organised and easy to access, with relevant information attached to educate customers on which Bambach Saddle Seat would suit their needs and profession. We recommended Wordpress as the CMS (content management system) for Bambach, not only for its versatility and range of customisation options, but also for its associated Woocommerce plugin, an open-source, flexible e-commerce platform which seamlessly integrates with the Wordpress CMS. With Wordpress, the Bambach staff will easily be able to post and edit content, as well as effectively manage their product range and orders. 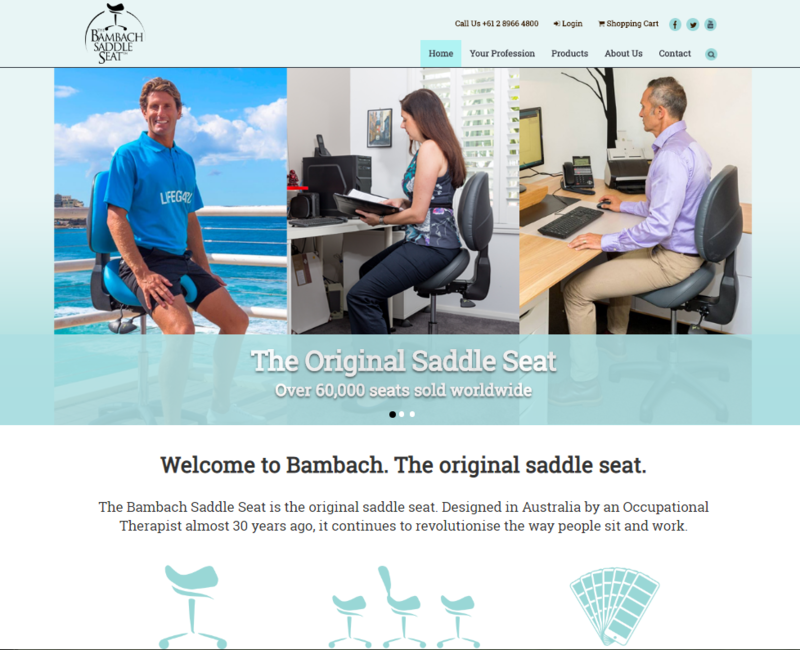 With their new website, Bambach can now concentrate on helping their clients around the world improve their health and working lives using the Bambach Saddle Seat. 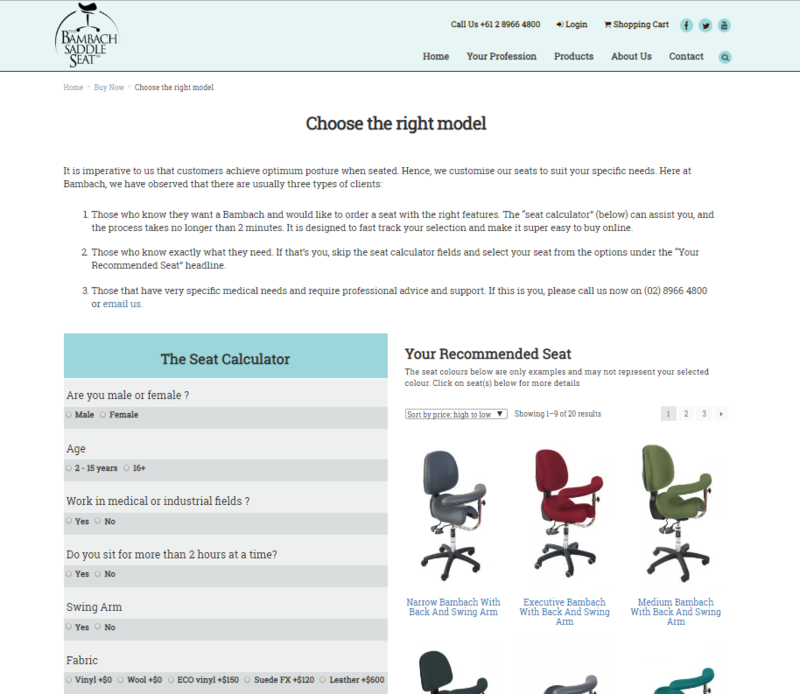 The addition of a Seat Calculator under the ‘Choose the right model’ menu enhances user experience by generating the best-suited product for each customer based on their needs, lifestyle and profession. The large variety of options in terms of colour, fabrics and accessories for the Bambach Saddle Seat is now also easily accessible for customers to create a custom seat to perfectly meet their requirements. 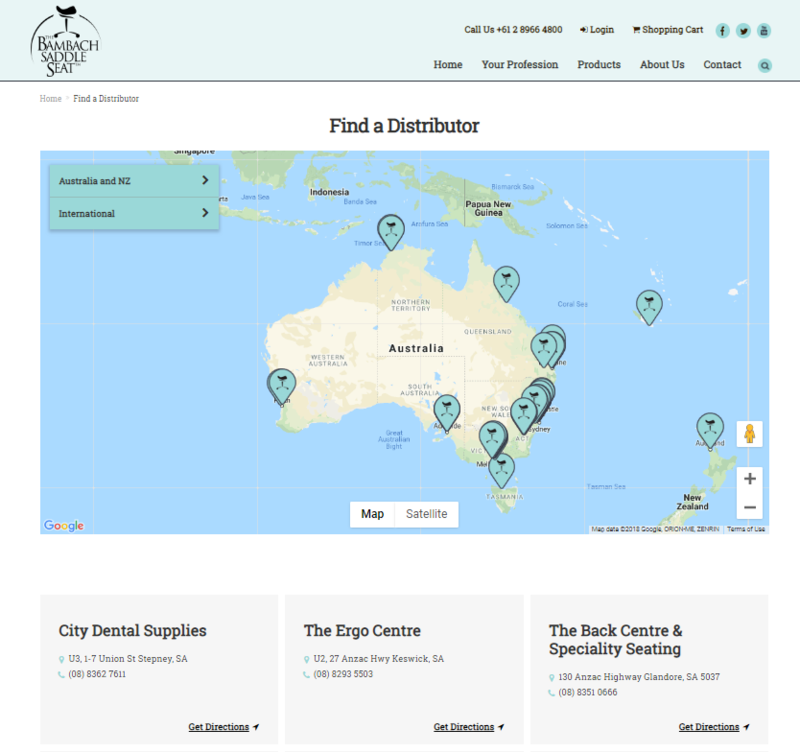 The team at TWMG are proud to have worked with Bambach to produce an effective digital solution to meet their advanced functionality and e-commerce needs. Learn more about the revolutionary Bambach Saddle Seat here on their new website. 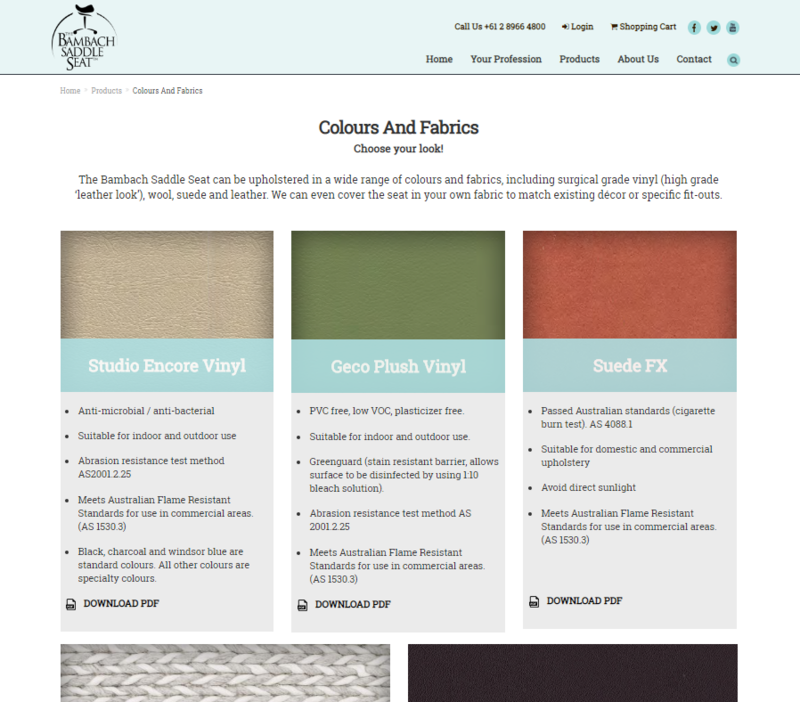 1300 911 772 or go back to www.twmg.com.au.